The chairman of the Texas Senate Health and Human Services Committee and other high-ranking Republicans on Tuesday expressed little interest in expanding publicly funded insurance coverage to low-income Texans, suggesting the issue is unlikely to gain traction when the state Legislature convenes in January. His comments suggest that advocates for the uninsured face difficult odds of persuading the Republican-led Legislature to offer health insurance to roughly 800,000 eligible Texans, using mostly federal funding under President Obama's signature Affordable Care Act. Schwertner, joined by Republican state Sens. 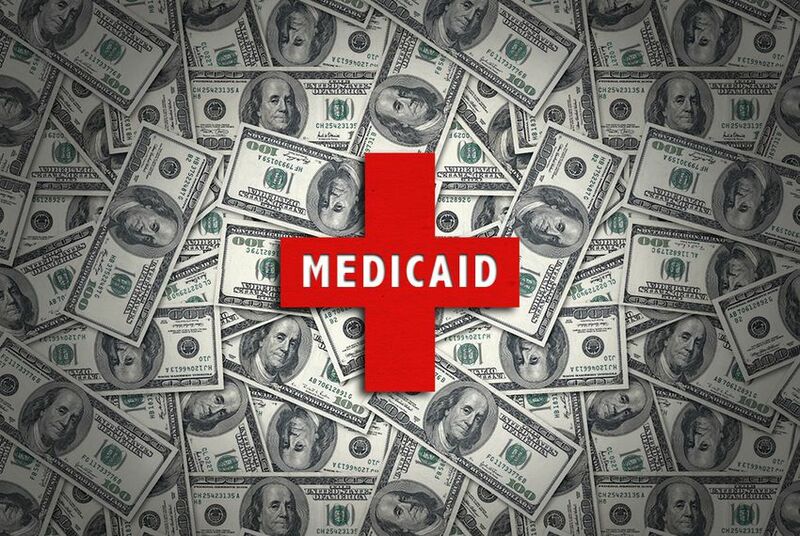 Lois Kolkhorst, R-Brenham, Charles Perry, R-Lubbock, and Donna Campbell, R-New Braunfels, expressed skepticism about the fiscal wisdom of an enlarged Medicaid program. They cited a new study commissioned by the state that found hospitals’ “uncompensated care” costs were significantly larger than the amount of funding those hospitals would net under a coverage expansion. Texas Republicans have criticized Medicaid, a program jointly run by the federal government and the state, as inefficient. Asked Tuesday about the study, Charles Smith, the executive commissioner of the Health and Human Services Commission, which oversees the Texas Medicaid program, said expansion would “only” offset hospitals’ costs by $358 million. According to the study, Schwertner said, that figure was equal to about 4 percent of the total uncompensated costs hospitals shoulder when seeing patients on Medicaid or without insurance. The Center for Public Policy Priorities, a left-leaning think tank that supports Medicaid expansion, disputed some of the study's findings. The $358 million figure was a "low-ball estimate" because the study's authors assumed few eligible Texans would enroll in Medicaid coverage — "a key (but not the only) flaw" in the study's methodology, Anne Dunkelberg, an associate director for the center, said in an email. According to the study, published earlier this month, separate safety-net hospital payments that the state has relied on in the absence of Medicaid expansion have reduced hospitals’ uncompensated care costs — from $8.7 billion to $4 billion each year. Texas officials have sought to persuade the federal government to continue those payments without expanding health coverage as the Obama administration desires. Republican senators criticized the federal government for being unreliable with Medicaid funding, a reference to testimony from the health commission about how the Obama administration halted certain hospital payments this month. On Sept. 1, the Obama administration said in a letter to Texas it wanted a $27 million refund for Medicaid payments made to private hospitals in the Dallas-Fort Worth region — an apparent contradiction to an earlier, written directive to state officials. The Centers for Medicare and Medicaid Services “has shown that they change their mind quite frequently,” Schwertner said, with Campbell nodding in agreement. Kolkhorst also said the “vast majority” of Texans without health insurance were not U.S. citizens, who under federal law are not eligible for Medicaid expansion coverage. But health policy researchers have estimated that only about 1 in 4 uninsured Texans is an undocumented immigrant. Schwertner said the federal government appeared to have given Texas a “Hobson’s choice” between accepting Medicaid expansion funding or losing other health care funds for hospitals, suggesting the Obama administration was forcing the state’s hand. The comments indicated that the state’s long-running tug-of-war with the federal government over Medicaid expansion is unlikely to change course. Texas’ Republican leadership has for years accused the Obama administration of trying to coerce the state into expanding Medicaid by holding safety-net funding hostage. Federal officials deny the claim and have encouraged Texas to apply for additional safety-net funds, but they say they do not want to continue to pay for hospitals’ uncompensated care costs that would be covered under a Medicaid expansion. When the Obama administration originally approved a 5-year, $29 billion pot of hospital funding, known as the 1115 waiver, in 2011, the Affordable Care Act required all states to expand their Medicaid programs to provide insurance coverage to low-income people. Many advocates for low-income Texans saw the waiver as a means for the state to build health system capacity to support a massive influx of newly insured people when the federal health law took effect. Then in 2012, the U.S. Supreme Court struck down the provision of the law that mandated Medicaid expansion, making it optional. Texas is one of 19 states that chose not to expand coverage. Gov. Greg Abbott and other Republican leaders vehemently oppose the federal health law, but state officials have continued to court 1115 waiver funding in order to shore up the state’s health care safety net. In that case, he said, “we don’t have negotiation, they require us to submit a waiver and then we enter the legislative session with a lot of ambiguity.” The session begins in mid-January, when state lawmakers reconvene in Austin. John Hawkins, senior vice president of government relations for the Texas Hospital Association, an industry group that has advocated for a health coverage expansion, told the committee he disagreed with comments that the Obama administration had behaved inappropriately in its negotiations. “I think [the Centers for Medicare and Medicaid Services] has actually been very clear not to overstep the bounds on this coercion question,” he said. Hospitals in the Dallas-Fort Worth region were overpaid by $27 million in federal funds to provide health care for the uninsured, according to a new order from the Obama administration, which is threatening to take the money back. The roughly 1.3 million Texans who bought health insurance under the Affordable Care Act will likely have fewer, more expensive coverage options in 2017, as health plans continue to announce they will no longer sell their products in Texas. Disclosure: The Center for Public Policy Priorities and the Texas Hospital Association have been financial supporters of The Texas Tribune. A complete list of Tribune donors and sponsors can be viewed here.